Feiplastic 2017, one of the most important plastics and rubber trade fair in Brazil, officially kicked off its publicity campaign on December 15. The show will take place from April 3-7, 2017 in São Paulo, Brazil, covering 85,000sqm of exhibition space, announced the organizer, Reed Exhibitions Alcantara Machado. Feiplastic was traditionally held in the month of May. Moving up the date of the event is aimed at integrating the show into the international calendar of the main events in the industry worldwide, said the organizer. The plastics manufacturing industry in Brazil encompasses 12,500 companies, it employs around 350,000 people and it is one of the five largest industrial sectors in the country, according to José Ricardo Roriz, President of Brazilian Association of the Plastics Industry (Abiplast). 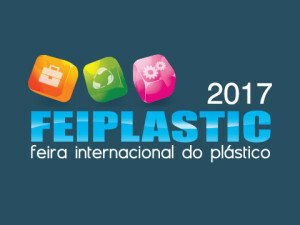 “It is an industry that values its workers and Feiplastic provides a chance to meet with the entire industrial chain. That is why the show is when investment decisions are made,” he said. In 2015, the show gathered 1,400 brands, over 200 of which were new, and over 66,000 visitors. For its 2017 edition, Reed Exhibitions Alcantara Machado is already expecting 70,000 buyers to visit the show. “The show can be seen as a thermometer for the market, and all trends and expectations are showing us that by 2017, the Brazilian economy will be at a different place. We believe that the plastics chain will benefit from economic improvements,” commented Paulo Octávio Pereira de Almeida, vice president of Reed Exhibitions Alcantara Machado. In a bid to improve visitors flow, the organizer said it has increased budget for publicity by 150%.